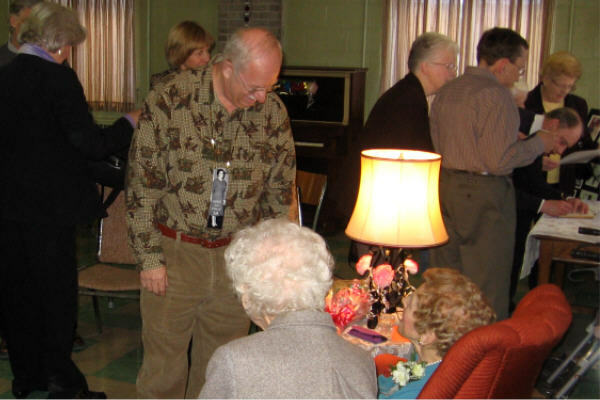 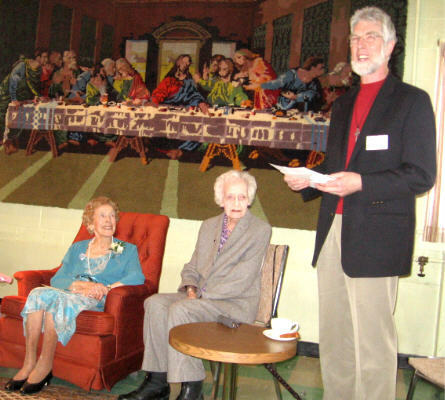 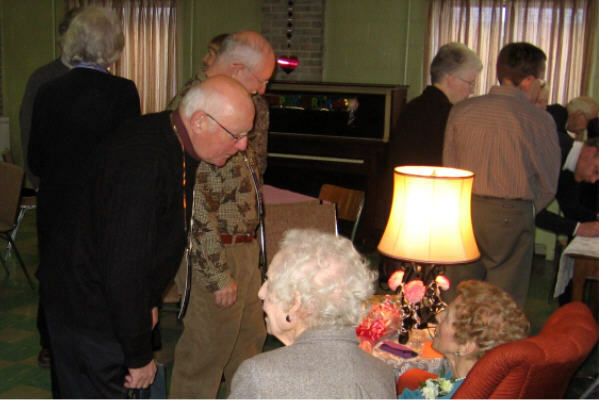 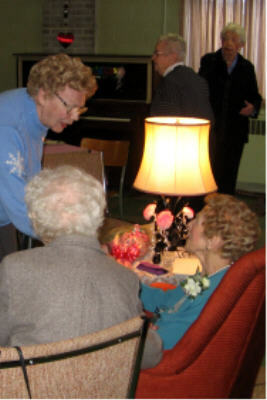 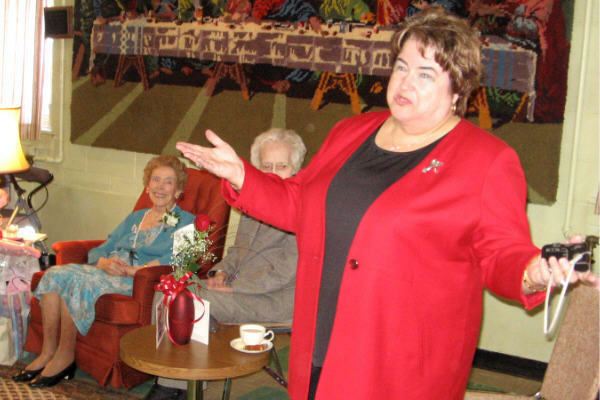 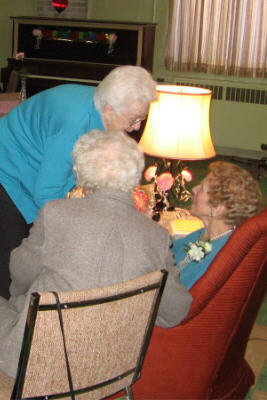 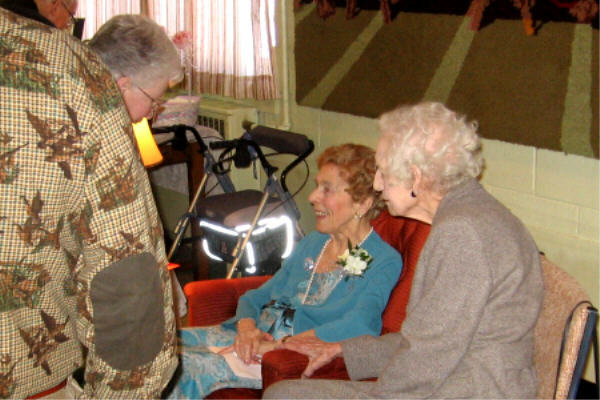 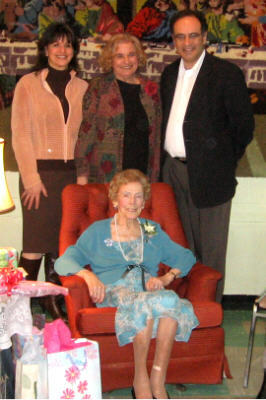 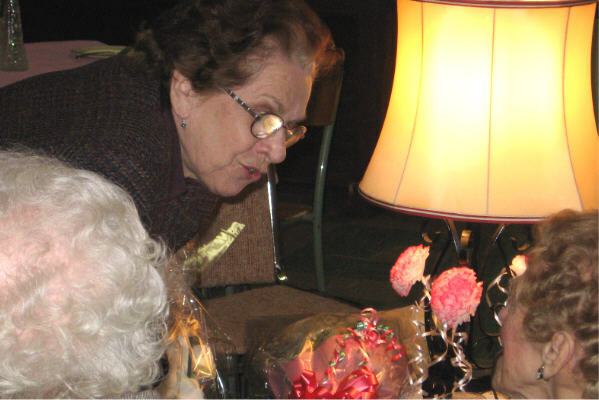 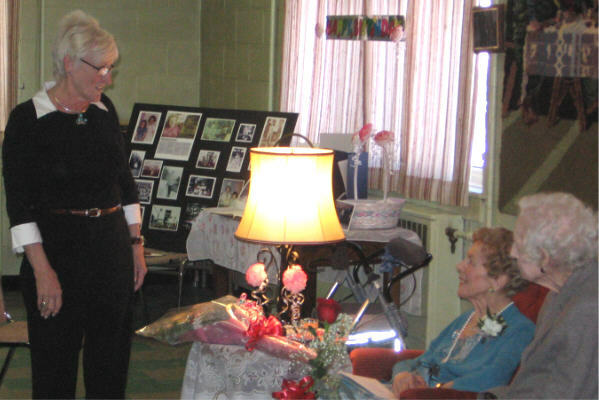 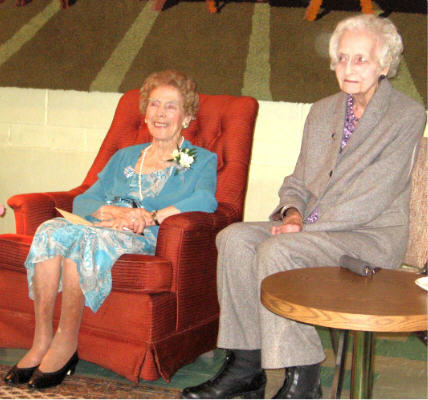 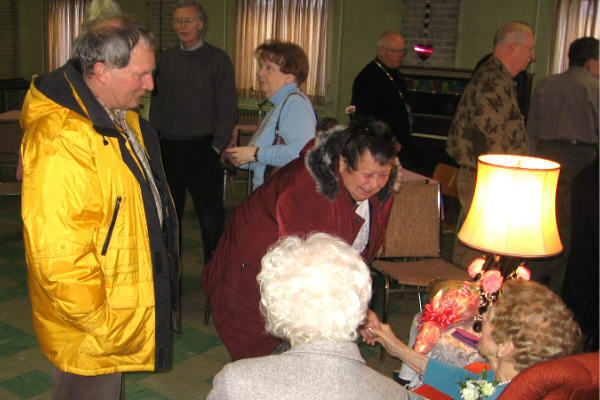 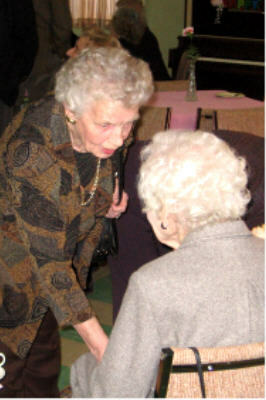 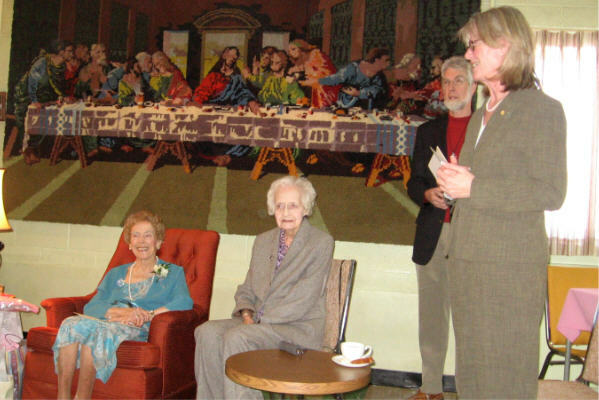 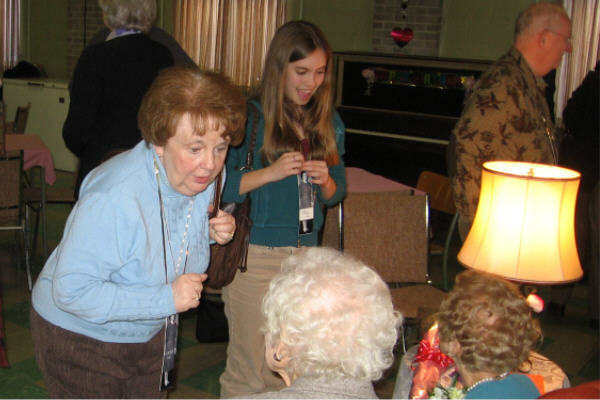 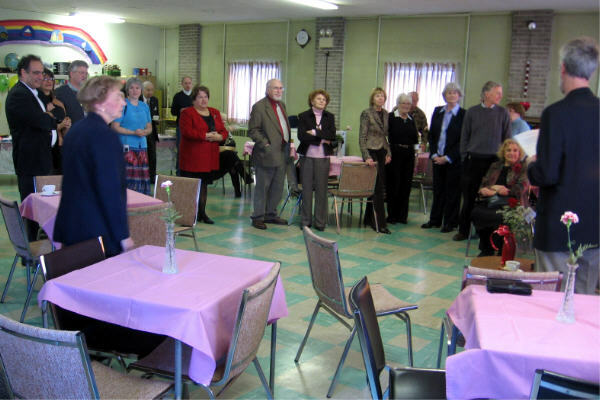 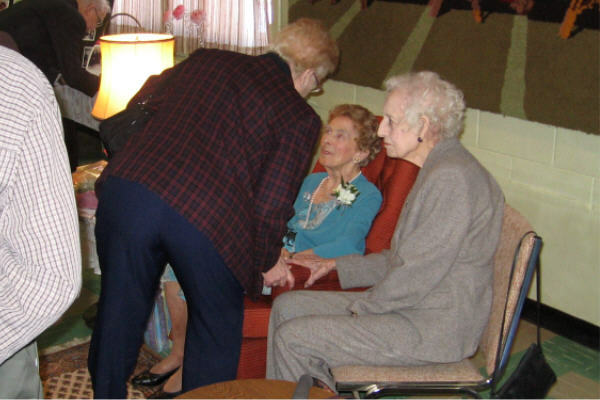 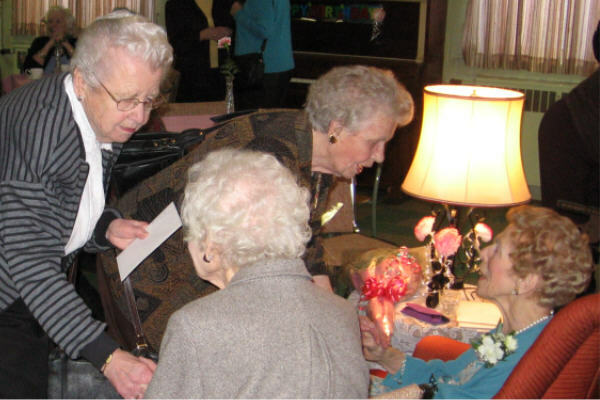 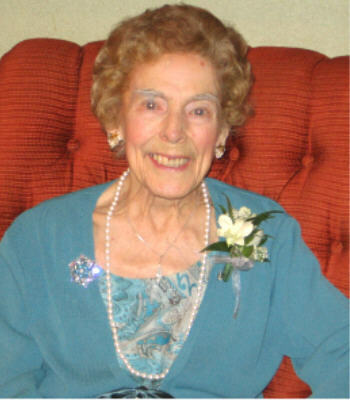 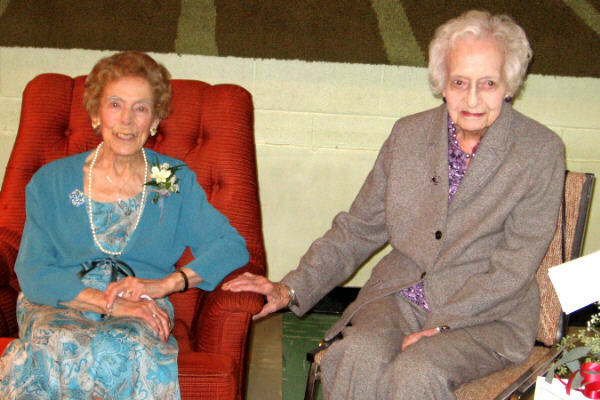 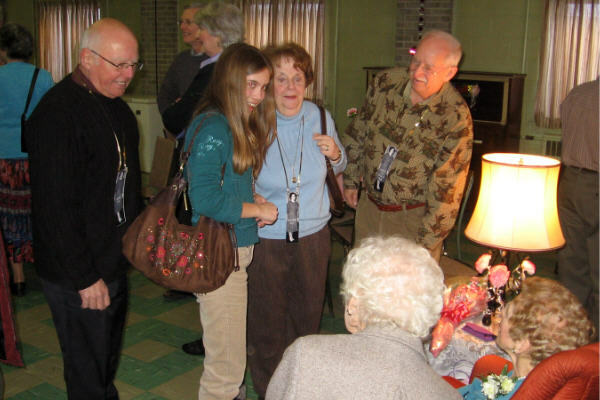 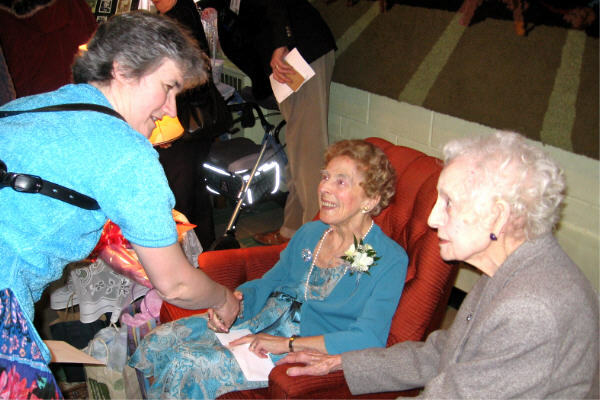 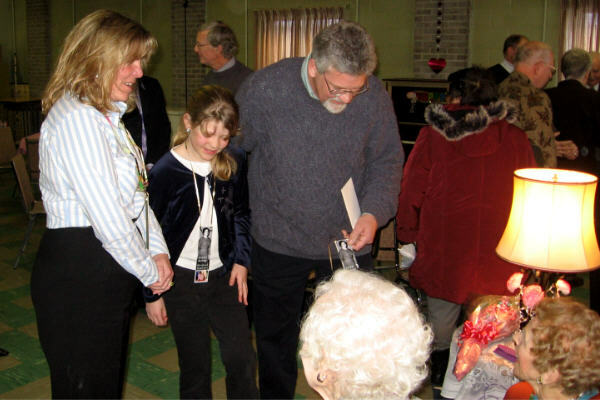 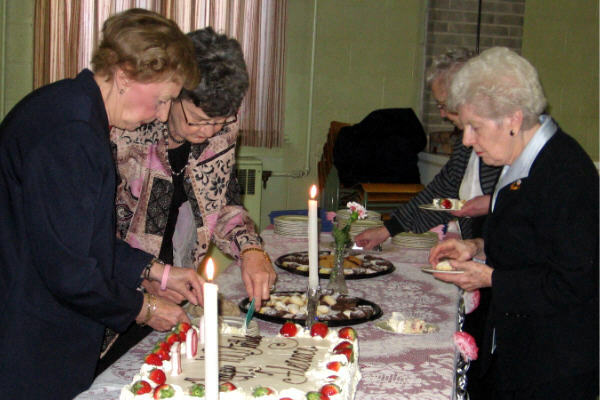 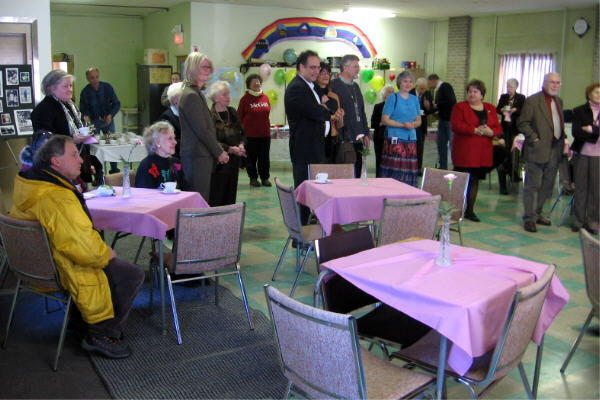 On Saturday afternoon 24 February 2007, a tea was held in St. Andrew's Hall to celebrate the 100th birthday of Florence Morris, longtime Summerlea member. 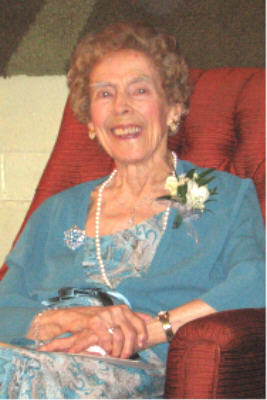 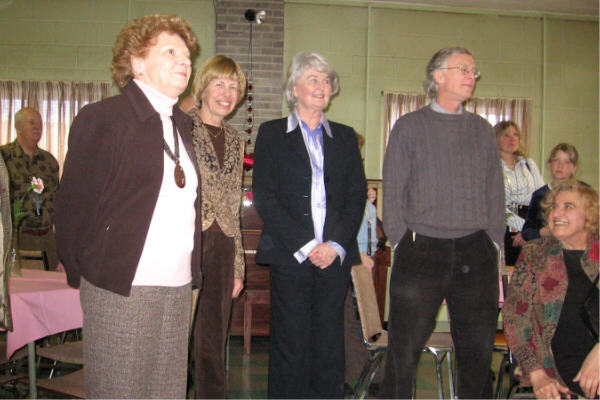 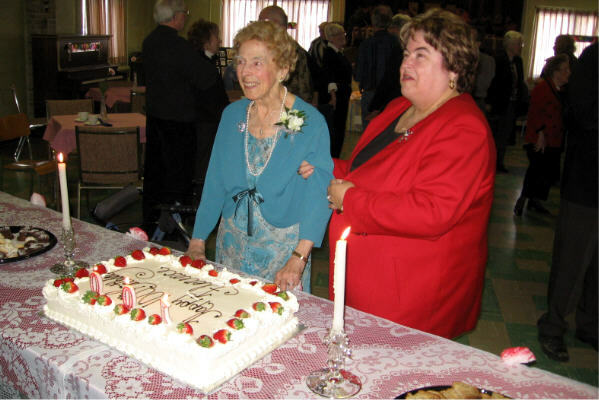 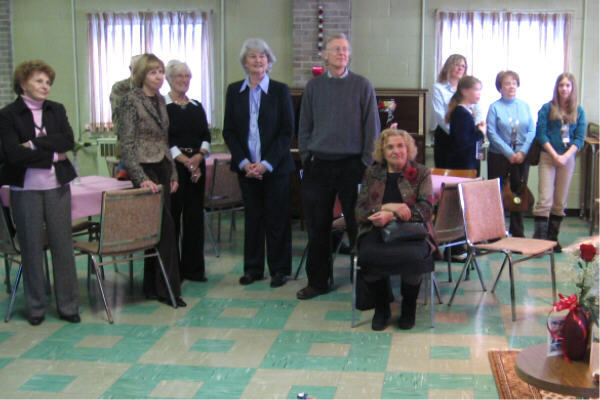 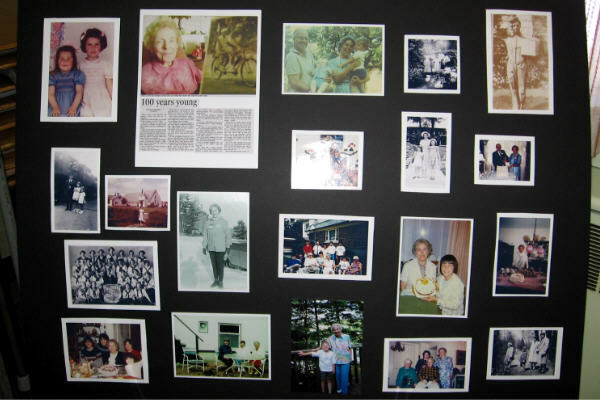 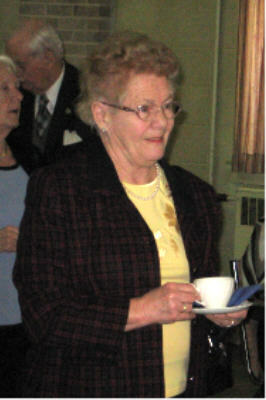 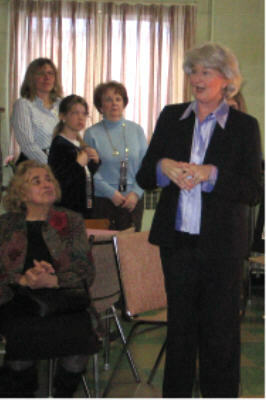 The tea was organized by her daughters, Joyce (Bunny) Millar and Caroline Cutt, and was attended by many members of the Lachine community, largely in recognition of Florence's many years as an elementary school teacher at Summerlea elementary school (which was near Summerlea United Church but not associated with it). 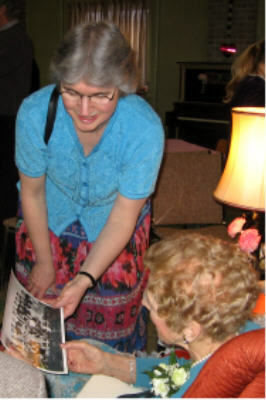 The guest of honour, with long time friend Jean Harkness. 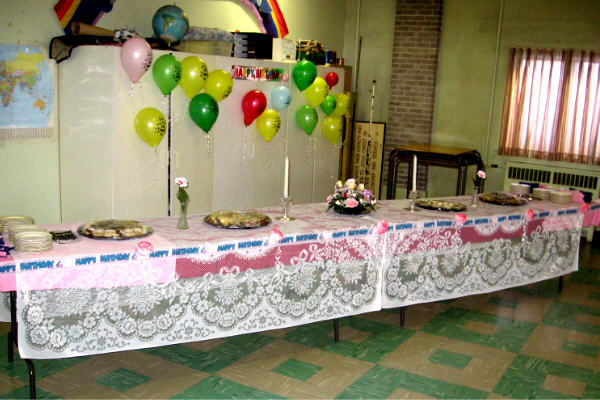 Photo memories, and the buffet table. 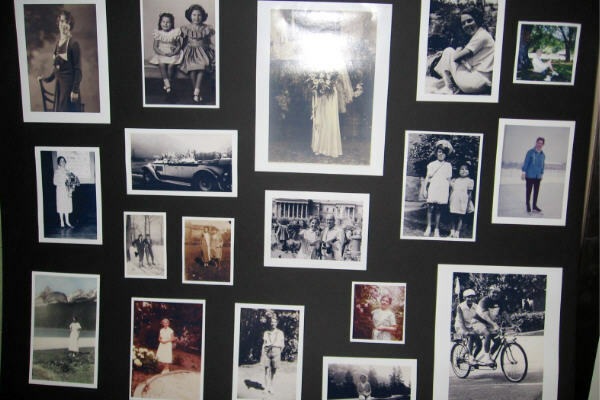 and some words by Flo's daughters. 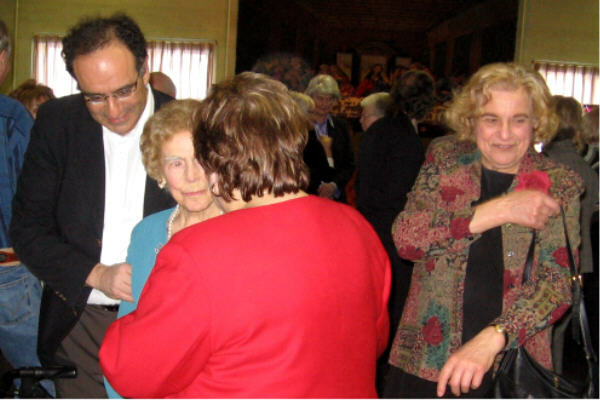 and with Dr. Saba's sister Georgina. 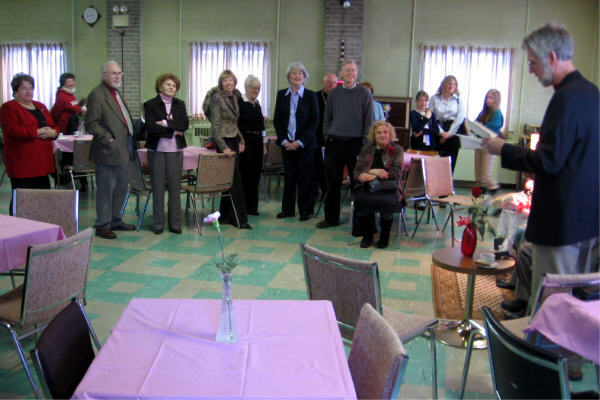 Some of the many folks who greeted Florence. 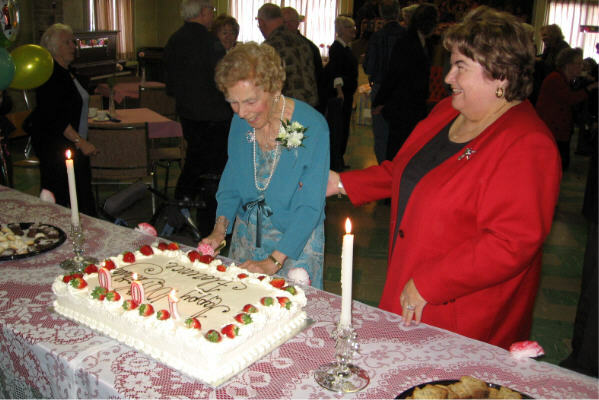 Mary Guynan and Ruth Heim cutting cake while Sarah McCall partakes. 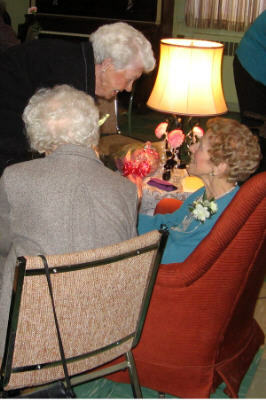 Marg Lynn serving tea to Mrs. Saba and Georgina Saba. 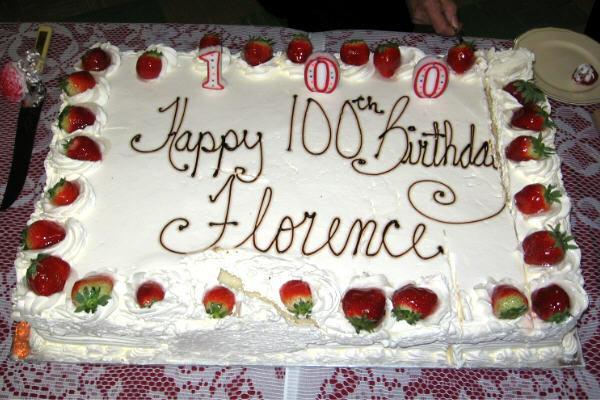 Florence Morris is obviously well-loved by all who have known her. 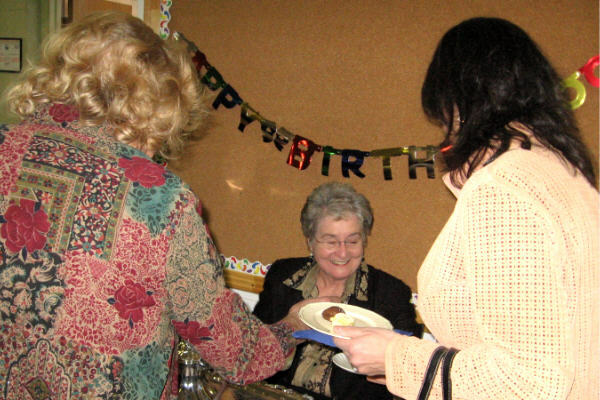 We wish her many more years of good health.